The sitter's great-grandson, James William Otis [1800-1869], New York; his son, William Church Otis [1831-1889], Nahant, Massachusetts; his son, Harrison Gray Otis [1856-1915], Nahant and Needham, Massachusetts; his son, William Alleyne Otis [b. 1895], Boston; his cousin, Robert Helyer Thayer [1901 1984] and Virginia Pratt Thayer [Mrs. Robert Helyer Thayer, d. 1979], Washington, D.C.; gift 1976 to NGA. The probable sequence of ownership was from the sitter to his daughter, Elizabeth Gray Otis to her son, Harrison Gray Otis [1765-1848], father of James William Otis, first owner of record; see William A. Otis, A Genealogical and Historical Memoir of the Otis Family in America (Chicago, 1924), 106, 141, 202. This portrait shares its provenance with Copley's Elizabeth Gray Otis (Mrs. Samuel Alleyne Otis) [NGA 1980.11.1] and Gilbert Stuart's Samuel Alleyne Otis [NGA 1980.11.2]. Augustus Thorndike Perkins, A Sketch of the Life and a List of Some of the Works of John Singleton Copley, (Boston, 1873), 68; for William's dates see Otis 1924, 341. Frank W. Bayley, The Life and Works of John Singleton Copley, (Boston, 1915), 123. For Harrison's dates and places of residence see Otis 1924, 495. Records in the registrar's office, Museum of Fine Arts, Boston, show that the painting was owned from 1917 to 1926 by Robert H. Gardiner, Robert H. Gardiner, Jr., and William Tudor Gardiner (Jennifer Abel, letter, 14 November 1990, in NGA curatorial files), perhaps as trustees or executors of the estate of Harrison Gray Otis. Barbara Neville Parker and Anne B. Wheeler. 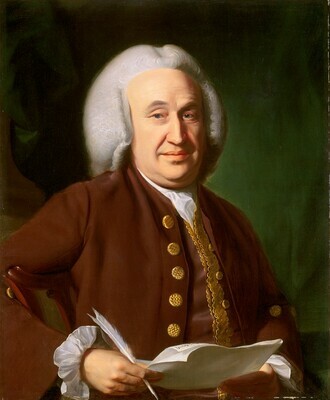 John Singleton Copley: American Portraits in Oil, Pastel, and Miniature with Biographical Sketches, (Boston, 1938): 88; for William's birthdate see Otis 1924, 608. Otis 1924, 496. Robert Thayer's mother, Violet Otis Thayer, was Harrison Gray Otis's sister. The painting was delivered to Thayer by the Museum of Fine Arts on the authority of William A. Otis on 22 June 1949. For Thayer's dates see Who's Who in America, 38th ed. (Chicago, 1974), 3056, and The New York Times Biographical Service 15 (1984), 143. The date of Mrs. Thayer's death is in the NGA curatorial file. Adrian Lamb painted a copy of this portrait in 1976 for the donors. The Washington Exhibition in aid of the New-York Gallery of the Fine Arts, at the American Art-Union Gallery, New York, 1854, no. 41. Loan Collection of Portraits for the Benefit of the Associated Charities and the North End Union, Copley Society, Boston, 1896, no. 53. Museum of Fine Arts, Boston, 1910-1949. Loan Exhibition of One Hundred Colonial Portraits, Musuem of Fine Arts, Boston, 1930, no. 39. American Portraits by John Singleton Copley, Hirschl & Adler Galleries, New York, 1975-1976, no. 32. Extended loan for use by Blair House, Washington, D.C., 1989-2004. Perkins, Augustus Thorndike. A Sketch of the Life and a List of Some of the Works of John Singleton Copley. Boston, 1873: 68. Loan Collection of Portraits for the Benefit of the Associated Charities and the North End Union, Exh. cat. Copley Society, Boston, 1896: no. 53. Addison, Julia de Wolf. The Boston Museum of Fine Arts. Boston, 1910: 5; 2nd ed. Boston, 1924: 5. Bayley, Frank W. A Sketch of the Life and a List of Some of the Works of John Singleton Copley. Boston, 1910: 43. Bayley, Frank W. The Life and Works of John Singleton Copley. Boston, 1915: 123. Bolton, Theodore and Harry Lorin Binsse. "John Singleton Copley." The Antiquarian 15 (December 1930): 116. Jones, Edward Alfred. The Loyalists of Massachusetts. London, 1930: 151-152, repro. opp. 146. Loan Exhibition of One Hundred Colonial Portraits. Exh. cat. Museum of Fine Arts, Boston, 1930: no. 39. Museum of Fine Arts. Selected Oil and Tempera Paintings & Three Pastels. Boston, 1932: unpaginated, repro. Parker, Barbara Neville and Anne Bolling Wheeler. John Singleton Copley: American Portraits in Oil, Pastel, and Miniature with Biographical Sketches. Boston, 1938: 87-88, pl. 65. Prown, Jules David. John Singleton Copley, vol. 1. Cambridge, MA: Harvard University Press, 1966, pp. 56-57, 106, 160-161, 216; vol. 2: p. 261. Morison, Samuel Eliot. Harrison Gray Otis, 1765-1848, The Urbane Federalist. Boston, 1969: 6, 17-30, repro. 20. American Portraits by John Singleton Copley. Exh. cat. Hirschl & Adler Galleries, New York, 1975-1976: unpaginated, no. 32, color repro. American Paintings: An Illustrated Catalogue. National Gallery of Art, Washington, 1980: 137, repro. Williams, William James. A Heritage of American Paintings from the National Gallery of Art. New York, 1981: 22, repro. American Paintings: An Illustrated Catalogue. National Gallery of Art, Washington, 1992: 148, repro. Miles, Ellen G. American Paintings of the Eighteenth Century. The Collections of the National Gallery of Art Systematic Catalogue. Washington, D.C., 1995: 34-36, color repro. 35.